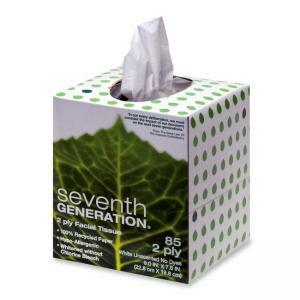 Facial tissue is made of two-ply paper, whitened with an environmentally safe process and never with chlorine bleach. Tissue is hypoallergenic with no dyes or fragrances. Made from 100 percent recycled content with 80 percent post-consumer material.